Lowest priced sound front home in Martins Point!! Beautiful, well maintained primary home, perfect for just about anyone. You cannot beat the view from this house - you can see the sound from every room. Large master bedroom and bath located on bottom floor, 3 large bedrooms and loft on top floor. Loft is big enough to be an office area or separate reading/spa area! 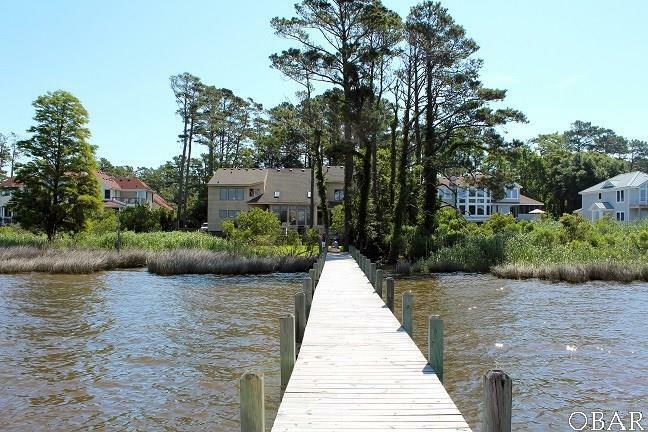 Large Multi-Level Deck to sit and enjoy the scenic view - as well as pier for fishing/boating. Wide open living area makes it that much more comfortable and spacious. Massive addition and remodel done in 2005 which put this home over the top. One of a kind home, a must see to believe, and AFFORDABLE! Martin's Point is a gated community with a security guard 24/7. Association amenities include a boat dock and launch, picnic area, playground and a convenient trash and recycling area for residents only.